There is nothing like sitting back after a filling meal, pouring the dregs of your wine down your throat and feeling utterly sated. For many of us, our annual summer holiday is the perfect time to loosen the old belt buckle and really get stuck in to a new type of cuisine. But have you considered taking it one step further and planning your entire trip around your favourite food? It is not a preposterous idea – after all, France, Australia and Chile all offer tours of their most famous wine-growing regions, and plenty of people book holidays to Italy in a bid to learn how to prepare pasta and pizza in the traditional way. So this year, think about building your getaway around the best foodstuff there is: cheese. 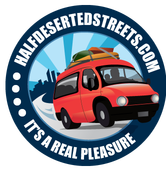 Read on to find out where you as a budding turophile can head to in order to sample this most heavenly of substances. Most famous for its holey cheese emmental made from whole cows’ milk, Switzerland has a rich history of other types of dairy produce too. La Maison du Gruyere is where the king of cheese is produced; situated just a short drive from Geneva airport and nestled at the foot of the Château de Gruyères is where this working cheese dairy takes in milk from local herds and turns it into the finished product. There, visitors can watch as the farmers deposit their rich alpine milk twice a day at the fromagerie and see how the process of making Gruyere works. The master cheesemakers and their teams create up to 48 wheels of cheese a day while sticking to the strict appellation d’origine controlee regulations. It is probably best to hire a car at Geneva airport so you’ve got enough room to stock up at the fromagerie’s brightly lit cheese shop, which also supplies other regional specialities. Stay around for lunch at the restaurant where you can taste the very cheese you’ve just watched being formed in action. 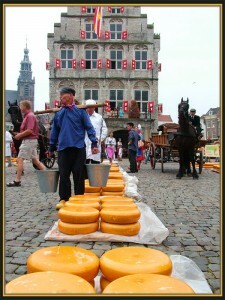 The market town of Gouda is well known for its cheese of the same name. The distinctive yellow product is made from cows’ milk and comes in huge wheels for commercial sale. Visitors to the South Holland town can make a special trip to the Gouda cheese market, which is held every Thursday morning from the end of June until the end of August and brings together all the farmers and producers of the delicacy. Instead of launching straight in, hold back and watch as the dealers and traders haggle over the price of their cheese. Once a batch has been sold, you can observe it being taken on a cheese stretcher to the Weighing House by some of the traditionally dressed Cheese Boys. Their female counterparts wearing their white peaked hats mill around the market handing out pieces of cheese to willing passersby – but make sure you get there as soon as it opens at 10am because the cheese quickly sells out. As well as browsing for Gouda, the marketplace is home to craft stalls featuring earthenware, pipes, clogs, farm produce and treacle waffles, all made locally, so it is the perfect place to load up on souvenirs.